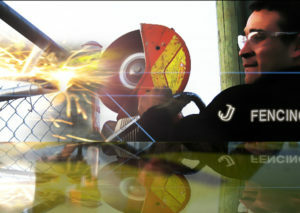 JJ Fencing Inc. was founded in Surrey BC, Canada. We specialize in ChainLlink fence and Ornamental fence installations and repairs. For over 18 years we have successfully completed innumerable different projects for customers all over the lower mainland. We are fully insured (liability and WorkSafeBC). All projects are important to us; from a small residential/commercial repair to large fully built industrial fence installations. We take the responsibility to really understand the customer’s needs so that we can obtain 100% customer satisfaction. We are dedicated to provide fast, well done and durable solutions to our new and existing loyal clients. All Residential, Commercial and Industrial customers are welcome. Please see our Services section for a full list of services we provide and photos of some of our projects. Do not hesitate to contact us, we will gladly communicate with you by phone or email. We can also arrange a meeting to discuss in person.